Our Youth Minister, Mr. Gilbert Rodriguez, was honored today by Bishop DiMarzio because of his remarkable achievements as a member of the Catholic Youth Ministry Initiative. The ceremony took place within the celebration of the commissioning of several Catholic Lay Leaders from the Holy Spirit Institute at St. Nicholas of Tolentine Church, in Jamaica NY. 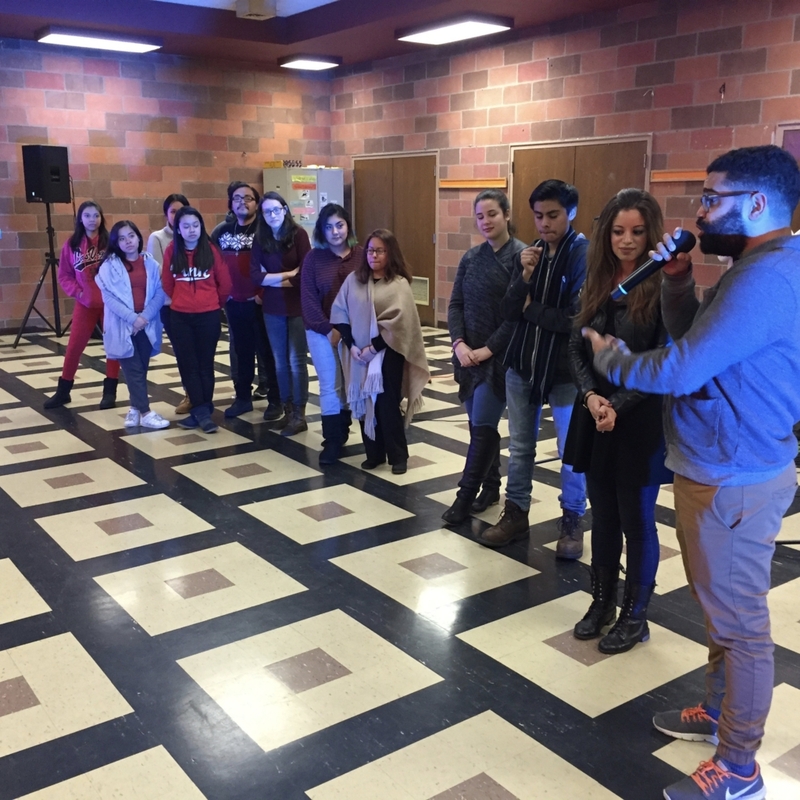 Through such initiative the Diocese of Brooklyn has been offering grants to the parishioners to cover for the salary cost of a professionally trained Youth Minister, in order to boost the reaching out to the young people within the community in a manner which is effective and consistent with diocesan criteria. Our Youth Minister was selected to participate in that initiative since 2014. We share him with the neighboring Parish of St. Gerard Majella’s. Two years ago we started a new approach to the youth ministry in our Parish, based on the proposals of “Life Team”, a youth ministry formation program well known in many parts of the United States. We look forward to remain committed to the evangelization of our youth, also relying on the expertise and good work of our Youth Minister Mr. Gilbert Rodríguez.